Malaga October 2018: Sunny October in the province of Malaga does come not only with excellent temperatures but also with many activities such as Fairs and traditional festivals, international walking festival and the particular celebration of Halloween in the Andalusian style. 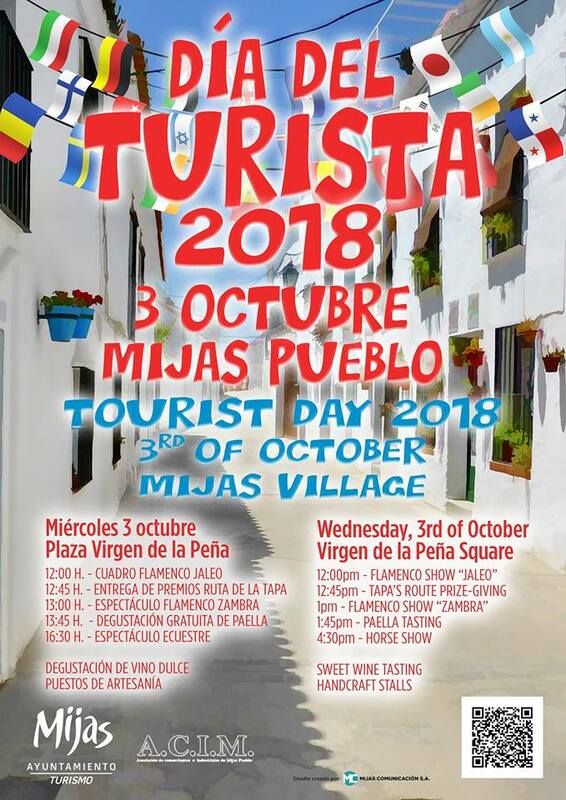 Celebration of the Tourist Day 2018 at Plaza Virgen de la Peña de Mijas town on October 3. 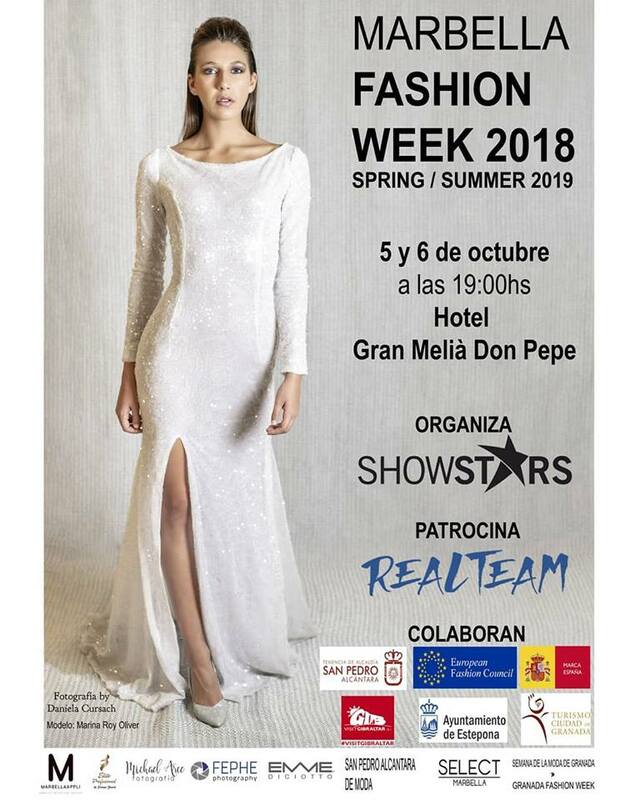 The ‘Marbella Fashion Week 2018’ will be held on the 5th and 6th of October, starting at 7:00 pm, at the Hotel Meliá Don Pepe in this city where will participate around 20 designers. 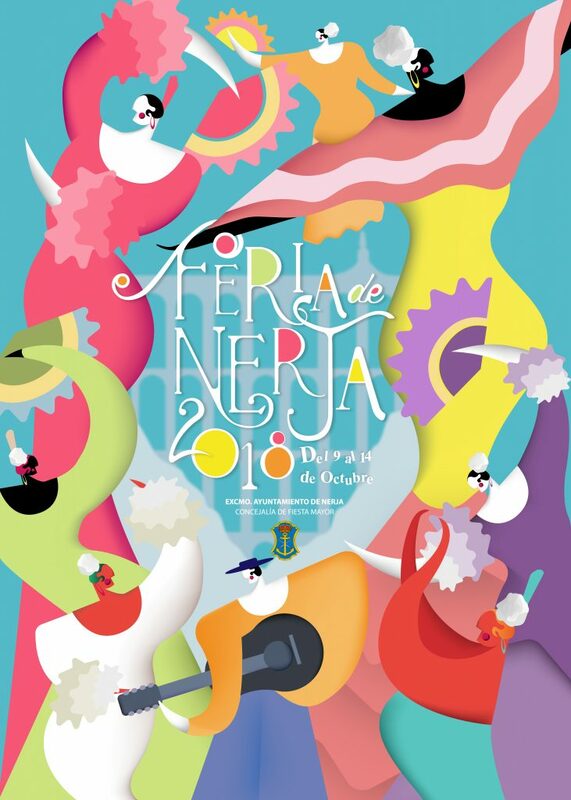 The Rosario Fair held in honour of the patron saint of Fuengirola, is one of the most outstanding of Andalusia because of its quaintness, traditional costumes but especially due to the great prominence given to horses and beautiful, bedecked carriages. The fair takes place at the fairgrounds in the city centre where there will also be various artistic performances and throughout the week there is a very lively atmosphere in the streets of downtown. October 7 is the Day of the Virgin of the Rosary, patroness of the city, starting with the Misa Flamenca (10 am) followed by a procession through the streets of downtown. Afterwards the party will continue at the fairgrounds. On the Mediterranean Motorway (A-7; N-340), C-1 Suburban train and bus. 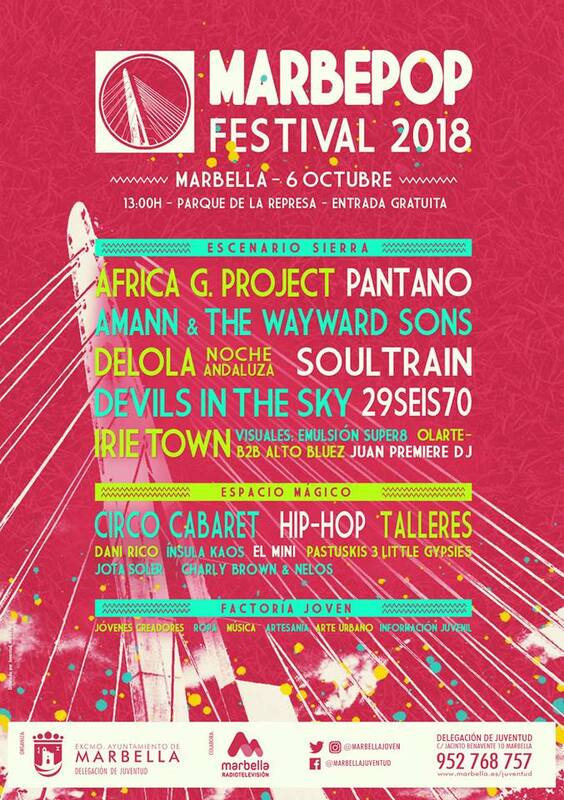 The Marbepop Festival 2018 will begin on October 6, 2018 at 1:00 pm and will continue until 1:00 am with three stages. One stage is for independent music. For families has been designed a magic space, which will become an improvised circus with performances and workshops. The third of the spaces is called Factoría Joven, aimed at creators and entrepreneurs, which will have a youth information point and clothing, music and craft stalls. When: October 6th from 1:00 p.m.
Festival in honour of the patron saint of the village, Virgen de las Angustias, with processions, Flamenco, folk performances and much more, mixing culture, food, religion, music and folklore. This autumn Marbella will again receive hikers from all over the world. Every year around the 12th of October they’ll participate in the Marbella 4 Days Walking event, where thousands of people come together to walk 20 or 30 kilometres per day, enjoying Marbella, beach and nature. This village is one of the best known of Serrania de Ronda dedicated to growing chestnut. Late October is celebrated this festival on this delicious fruit you can try roasted, in syrup, cooked, candied or simply picked directly from the tree, along with wine made from the exquisite grapes grown in the area. In addition are held many parallel activities. Every year in late October or early November is celebrated in the Chestnut day. 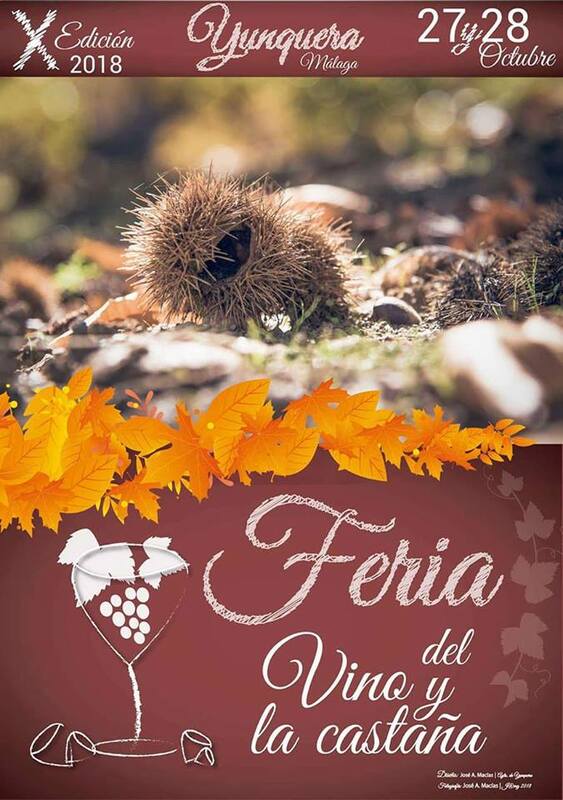 During this day you can enjoy music and dancing in the streets of the town and tasting of more than 50 dishes based on chestnuts and accompanied by Anise or Brandy. In addition, you can visit many stalls where are presented clothes and typical tools for the collection of this fruit. Virtually all coastal cities of Malaga takes place some sort of terrifying celebration, while in the mountain villages is usually held traditional celebration of roasted Chestnuts. Check out our Halloween Malaga 2018 Special Edition. We have been rented for several times with your company and are satisfied renters. However, the discount after 5 to 6 renting through the customer logg in is not more than 2%. How come? Hi Meriam, if you use your log-in credentials, you should receive a minimum of 5% discount and an extra 1% for each booking completed with malagacar.com. If you think there may be an error, please contact carhire@malagacar.com including the email and password used for logging in. Hello, we are a regular customer of Malaga car for a few years already. We were searching for a house in Malaga areas for the last 5 years. Since last year september we have bought a house in Alcaucin . We are coming to Malaga again on the 25 th of Oktober. This will be the 6 times of this year renting a car from Malaga car . Com . So do we have a special discount when we book the car online on the 25 of okt? Also in the future for ourself en for the guests B&B. That way, you earn commissions from each customer referred by your site. Je loue régulièrement des voiture chez MALAGACAR. Vous informations sur les festivités est une bonne idée, mais étant Français serait-il possible de nous traduire vos informations. I’m sorry, at this time, no member of the IT team can speak French. How do I subscribe to your blog? I would like to get the 30% discount please as I am a returning customer for years. Can you send me the link please? About the discounts, you can get up to a 20% using your customer log-in (depends on the amount of reservations), or you can use the HELLOFAN promo code (10% discount on several cars). Please can you advise if there are any antique/collectors markets near Calle street from 28th Nov to 2nd Dec and what other events might be taking place during that time. We are coming for a conference during that time and staying at the Atarazanas Boutique hotel. We would like to walk around the immediate area, is it safe to do so in the evenings? The area where you stay is the city centre with plenty of night life, bars and restaurants. Plus at this time of the year the Christmas illumination is already switched on and you will love to walk the area after dark. Enjoy your stay in Málaga! Hi. I’ve been following malagacar.com for some time but have somehow missed the events calendar before . Is there a way to subscribe to it separately so I don’t miss it again? 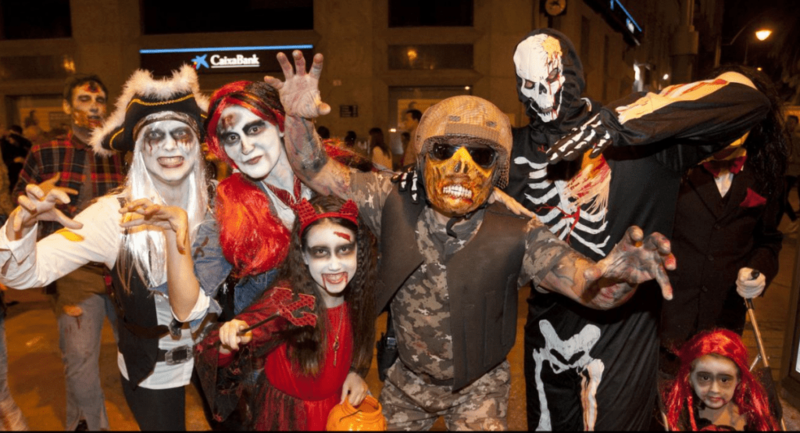 Please inform us of Hallowe’en events in the Malaga, Costa del Sol areas. It will be published in a few days.